With Springtime comes cleaning overload. I love that feeling when the weather gets sunnier and it gets to 7pm and is still light outside. I no longer feel sluggish and lazy and suddenly have the motivation to crack on with some housework. This must work with men too as Joe has been in serious Spring clean mode this week with a little help from our friends at OUST! 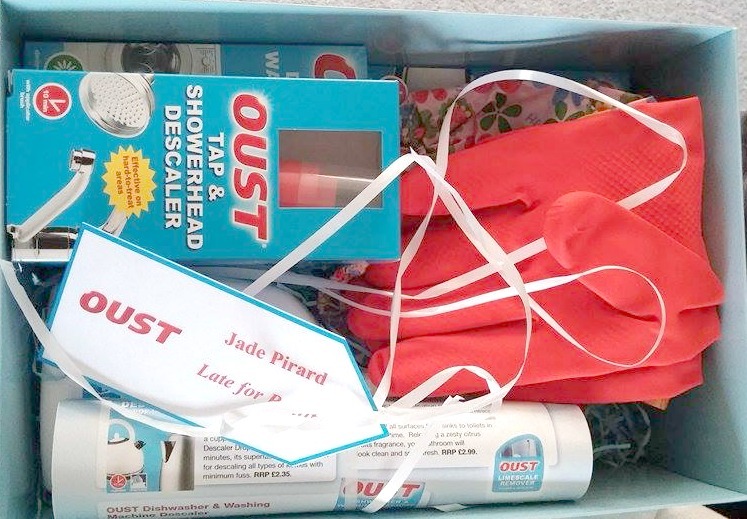 We were sent a few samples of OUST products for the #OUSTyourhouse campaign. 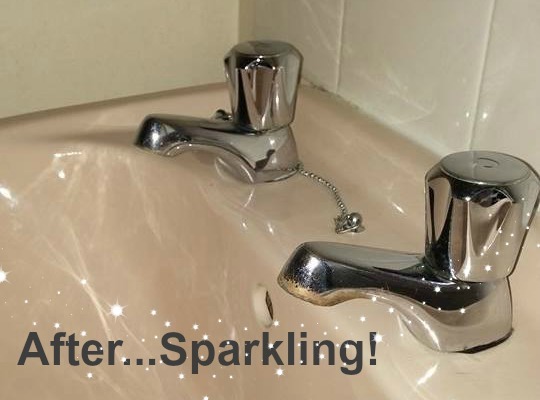 Their range of descalers are super easy to use and perfect for removing nasty limescale from your home. Before I show you our before and after pictures I wanted to give you my 3 top tips for cleaning around the home. 1. Descale your kettle every two months to prevent limescale build up. Nobody wants crunchy tea! 2. Use newspaper to clean the windows, it leaves a lot less streaks than a cloth. 3. Before cleaning the microwave pop a bowl of water in and microwave for a few minutes. The steam created will help loosen up any dried on dirt and grime. As well as the bathroom sink we cleaned the shower head and bath taps with similar results. 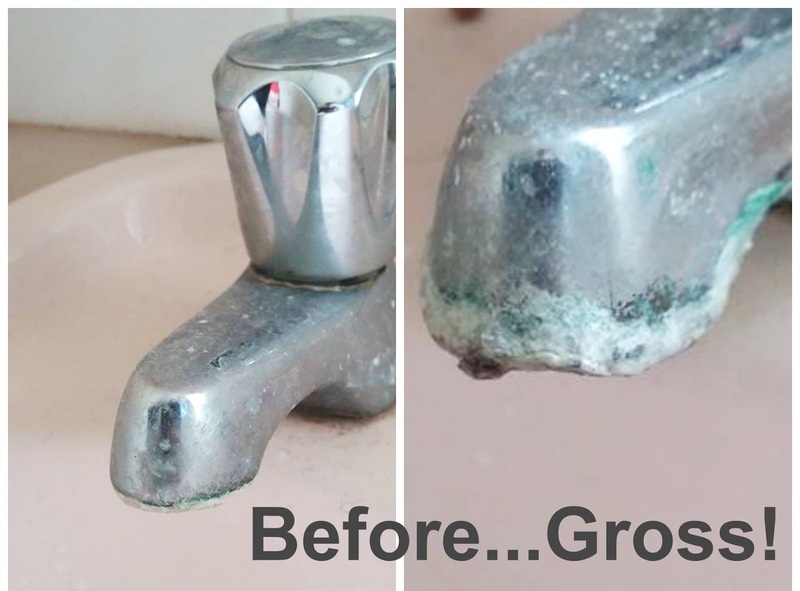 Joe said that the products were really easy to use and once the descaler had finished its work there wasn't much effort to get the limescale off the taps. We also descaled the kettle as it hasn't been done for a while and Joe got a little video showing the descaler in action! What are your best tips for a good spring clean?